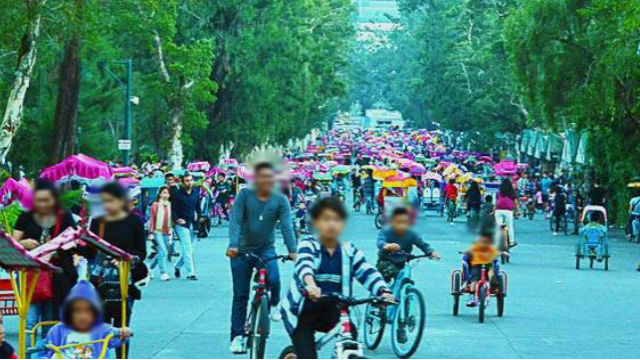 BAGUIO CITY – Mayor Mauricio Domogan assured bicycle rental concessionaires along Jose Abad Santos Drive at Burnham Park that they will not be relocated to give way to the “Baguio Blooms” Exposition and Exhibition from Feb. 1 to March 10. “We had a dialogue with the bike concessionaires and they did not agree to their transfer, hence we have decided that the bike concessionaires will remain at the Jose Abad Santos Drive,” the mayor said in a letter-reply to lawyer Lauro Gacayan, legal counsel for the 12 kiddie bike concessionaires in the area earlier this month. The Mayor said the City also agreed that Baguio Blooms will only utilize the available space at the skating rink as site of the landscaping and trade exhibition. The mayor said the city consulted with the 12 kiddie bike businessmen on the plan to move them to Juan Luna Drive for a period of one-and-a-half months with the city even willing to waive the rental fees but since they refused, the city respected their decision. Gacayan said his clients opted out of the proposal on the grounds that Juan Luna Drive is too narrow and cannot accommodate all the tents and the rides of the leaseholders consisting of 32 Go Kart and kiddie bikes for each concessionaire. “Even assuming that the said 400 bikes could be parked on one side of Juan Luna Drive, the remaining portion of the road is too narrow for two-way biking which is too dangerous and could result in many accidents among our children,” he noted.